As you have seen, natural catastrophes have severe consequences for all involved. 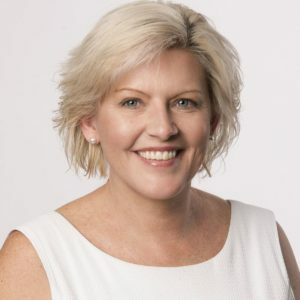 Managing director of EBM RentCover Sharon Fox-Slater answers questions about the important role insurers can play in providing immediate support to those in need. What advice would you give to property investors, landlords and property managers impacted by a natural disaster? Natural disasters like bushfires, floods, storms and cyclones can not only cause widespread devastation, but also confusion. When a rental is caught up in a disaster, there can be a lot of uncertainty about how owners, tenants and agents should respond. This is where insurers can step in and provide guidance. The first thing you should do is contact the insurer – the sooner they know there is an issue, the sooner they can respond. They can advise on policy requirements like the need to mitigate further loss or damage (which often means making emergency repairs, which some insurers need to authorise beforehand) and also on the claims process and what the policyholder needs to do and provide. The recent spate of natural disasters has taken a real toll on our communities emotionally and financially. As insurers we take a leadership role so our policyholders and agents have an authoritative and compassionate place to turn for advice. Our aim is to restore normality for people as quickly and painlessly as possible. Is there a common insurance challenge that arises from natural disasters? One aspect many don’t think about is the need to preserve evidence for insurance claims. In the aftermath of a disaster, personal safety is always the priority but it is also important policyholders, occupants and agents don’t risk voiding insurance cover by removing evidence that substantiates claims. Often people return to their properties after a disaster and start cleaning up the mess and discarding damaged items. When they do this, they are ultimately discarding evidence. Insurers need to be able to assess the damage and determine the cause of damage or loss to appropriately manage a claim, which is why a causation report is needed. This is where loss adjustors come in. They are typically dispatched immediately to areas damaged in natural catastrophes and are on standby to inspect homes once it is safe to do so. 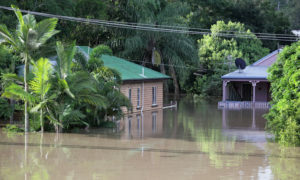 The 2011 Brisbane floods was a turning point for the industry. Explain its impact. At the time, many insurance policies didn’t cover flood. When surging waters inundated homes and businesses they had no cover. However, the public perception was that insurers should pay for the damage regardless. There also wasn’t a standard definition of ‘flood’, which meant insurers responded to the disaster in varying ways based on their policy wordings. 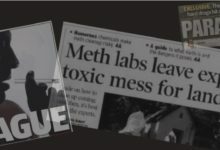 There was no consistency and this reflected poorly on the industry. It appeared, and was frequently publicised, as though insurers were just looking for reasons not to pay. The fact is, an insurance policy can’t pay for something that is not covered. Since 2011, the Federal Government has issued a mandatory definition for ‘flood’ and many insurers, including EBM RentCover, now protect against this insured event. It is still important for policyholders and their agents to understand what is and isn’t covered in respect to floods in their insurance. 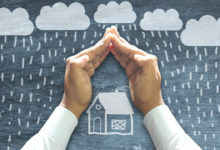 Insurers treat flood in different ways in their policies; some have it as a compulsory component of a property policy, others have it as a standard inclusion but allow policyholders to opt-out of flood cover, some will only cover up to very low defined values and some insurers will not cover flood under any circumstances. The fact is an insurance policy can’t pay for something that is not covered. Are people taking up flood cover? 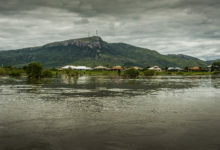 A flood-ravaged Townsville recently highlighted the vulnerability of Australian cities to flooding. The sad fact is, certain parts of the country are flood-prone, yet any area could face flooding if the conditions are right. Unfortunately, while many insurance policies offer protection for flood, we have discovered (and noted in Townsville) many people still choose not to take out this cover. It is a great concern that property owners shy away because of cost and opt-out of flood cover before understanding the level of risk to their property. This means there is a significant number of properties uninsured, underinsured or inadequately insured because they don’t understand the risks they face as a property owner. The motivation for buying the property is often to create wealth and that wealth needs to be protected. We are doing what we can to increase awareness of insurance and its importance. We aim to deliver real solutions that provide reliable outcomes. We care about the landlords who choose to insure through us and we want to make sure they are properly covered and their investment protected. Looking specifically at EBM RentCover – how has the business responded to support evolving needs? After 2011, we quickly realised flood cover was something our clients needed and became strong advocates for policies automatically including it. However, we didn’t want people in flood-prone areas to have significantly increased premiums they wouldn’t be able to afford. We spent the next five years advocating for a premium increase across the board to cover flood damage and introduced what we believe to be the right solution at the right price. Talk us through the solution. We advocated for premium pooling where we are able to make flood cover more affordable for all investors, not just those who are believed to be an imminent risk. 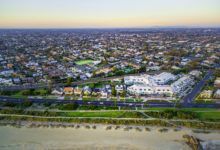 The premium is not determined specifically by the risk the individual property presents (most policies look at where a property is situated and determine risk) and instead covers all policyholders, at the same price. We have found this better protects those who are more likely to be at risk and those who may not realise they are at risk. Importantly, it has enabled us to provide flood cover to all EBM RentCover clients. Should the protection of private assets rest solely on the shoulders of insurers? I think local, state and federal governments can do more to protect investors from natural disasters. Insurers are frequently scolded for their response to natural disasters, but governments are overlooked for the part they play. Notably, properties are being built in flood zones and development is being allowed in flood plains. In addition, houses are built in areas where bushfires are prevalent. Governments allow this to happen and maybe it is time to ask why. Governments are also vocal after a natural disaster advocating for premiums to remain stable – is this realistic? It is bigger than just the insurer, because insurers have reinsurers. When the insurers’ premium pool is not large enough to cover the cost of claims, this impacts the reinsurer. If the reinsurer is making demands for premiums to rise, it flows down. I also think people fail to remember that insurance is a business. Like any business, it needs to be profitable and sustainable. How are insurers meant to have a sustainable pool of money to pay out claims, if premiums don’t rise when the risk rises? It is not just about one single event; it is about protection for weeks, months and years ahead. Can you put this into perspective with an example? EBM RentCover protects about 140,000 properties. 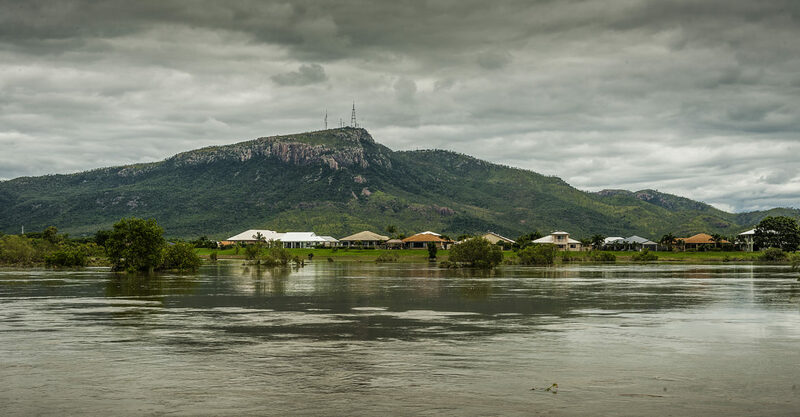 The Townsville floods impacted about 1,000 of our policyholders. While we want to protect those impacted by the natural disaster, we also have a responsibility to the 139,000 other policyholders who were not in the impacted zone, but could at any moment be at risk. To make sure we can respond to everyone effectively, there needs to be sufficient premiums collected to pay claims. Looking forward five years, do you see the policies evolving further? EBM RentCover policies will always evolve along with the needs of clients. We pride ourselves on being leaders in the landlord insurance field and have a track record of introducing new policies and adapting existing covers to meet changing needs. The future is unknown and can’t be controlled. What can be controlled is insurance cover.